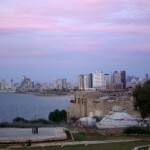 Tel Aviv is an ancient synagogue in Israel. 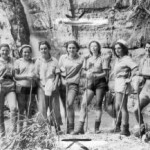 Yehuda Magidovitch designed it in the year 1922, and it took him four years to complete. This construction got the name from the city known as Tel Aviv, and it is known to be an orthodox synagogue. 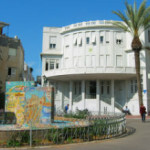 The synagogue lies east of the Shalom Tower, 110 Allenby Street in Tel Aviv. It served as a Jewish worship center during the olden days. The building took an extended period to construct due to insufficient funds. It was later renovated in 1970 with new arches. Its unique features include a huge dome and magnificent stained glass work. During the British reign, they found several weapons in the basement of this church that led to the arrest of its caretaker at the time. In 1924 the committee involved in the construction of this synagogue conducted a competition for planning it. Richard Michael, an architect, won this contest, and this helped in the advancement of the programme of the synagogue. Due to the onset of World War 1 Michael was forced to leave the country hence he did not complete this building. Alexander Baerward later replaced him but did not complete the construction due to insufficient funding, hence, in the year 1925 Samuel Nathan Wilson completed the construction of the building. An engineer known as Arpad Geuthe planned the dome of this great synagogue. This building underwent several renovations to bring it into its modern style. An architect Aryeh Elhanani added cement to support the building. And also lighting and furniture was improved in the building. 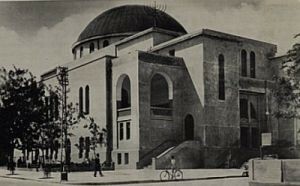 The planning of the buildings periphery was crafted by an architect known as Ze’ev Rechter at the end of the year 1930. He planned an Italian-style plaza to wrap around the eastern and northern side of the building. That was meant to create enough space for commercial shops around the building and also to create sufficient space for construction of other buildings like offices. 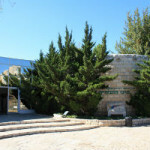 This building became dormant for a long period and in the year 2009, it was rebounded and since then it has thrived under the indefatigable leadership of Rabbi Ariel and Rabbanit Cheryl. The great synagogue has over the years received little attention and care than it deserves despite being better than other synagogues within the location. People have made many attempts to revive and renovate it with the latest being in 2014. 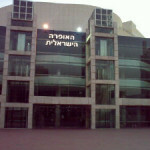 The Tel Aviv synagogue currently lies within a business and a financial center that cropped up majorly due to tourism. The current managers of this synagogue do not receive any salary or support from the government; the TAIS community seeks donations from well-wishers for the continuation of the building. To date, the synagogue is used for hosting traditional Israeli wedding ceremonies to its congregation. Additionally it serves as a tourist attraction as any people around the world have flocked to this one of a kind warm and welcoming community of Tel Aviv.